Late September and the campfire was crackling at the cabin. Our wee haven in Haliburton is glorious: nestled between two little rivers, surrounded by fir, spruce and pine, it is two hours from home and a million miles from what keeps me from listening otherwise. Our world is noisy and often noisome in the disagreeable sense of the word. Horns. Fire engines. Shouts. Diesel engines. Air brakes. Train whistles. Now I can love urban life, take pleasure in the roar of a crowd or the blast of a great rock song on my car radio. And I sure enjoy some noisy aspects of being a published author: talking about the book, talking to publishers, talking to booksellers. Frankly, you have to be fairly noisy these days if you want to bring some attention to your work. So I, too, can be a noisemaker on the radio, at launches and readings and other appearances. But I do worry about how little time anyone has to take in silences. And the rewards that exist when you do take in silence are enormous. 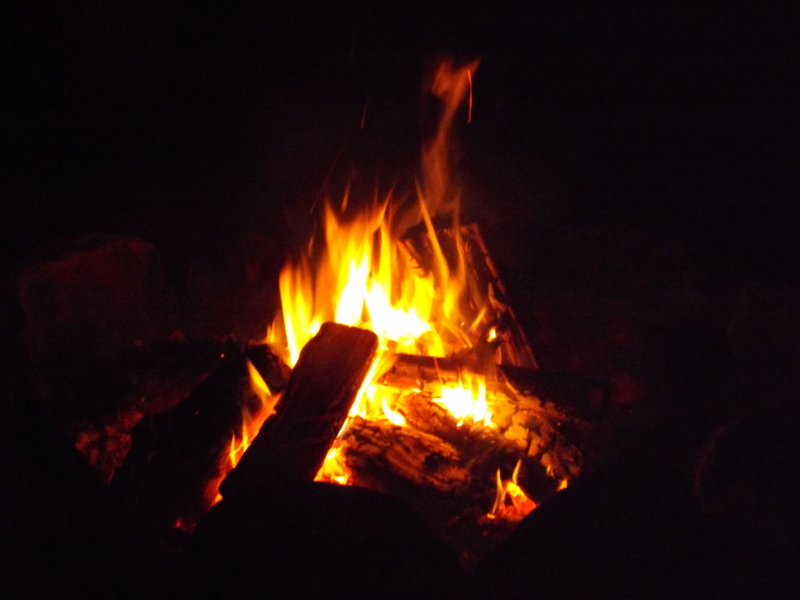 Around that campfire, I’ve heard spring peepers whistling froggy love songs into the night. Coyotes that yip and yelp, and at least once, wolves calling to the stars. I’ve heard the whip-poor-will at dusk and the hooting call of an owl. All of this flavoured by pine, woodsmoke, a mug steaming with coffee or tea and the quiet companionship of my love at my side. And when I listen and hold myself still, I’ve heard the sound of poetry tickle the back of my brain — though up there, it often takes time to simmer and move around in my thoughts, sometimes waiting weeks before falling out and onto the page. Listening brings its own rewards. Listening to the world around you can, perhaps, help you sift out what is noise and discover what is worth listening to. And keeping. It will be a long winter of no campfires. I’ll have to settle for the silences brought by heavy snowfalls and those two a.m. strolls through the house that sometimes, when the quiet is perfect and moon shafts some blue through the mini-blind cracks, take me to where I think I can hear something important, something worthwhile, something that longs to find its way from pen to page.